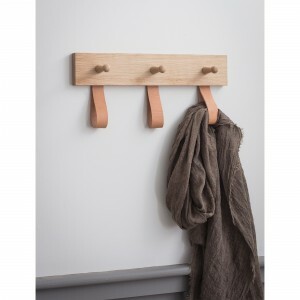 The contemporary mix of materials makes the Kelston Peg Rail a striking choice when looking for extra hanging space. Crafted in Raw Oak, the thick Leather loops are 100% natural, using no dyes or stains, which over time will age and darken with exposure to sunlight. 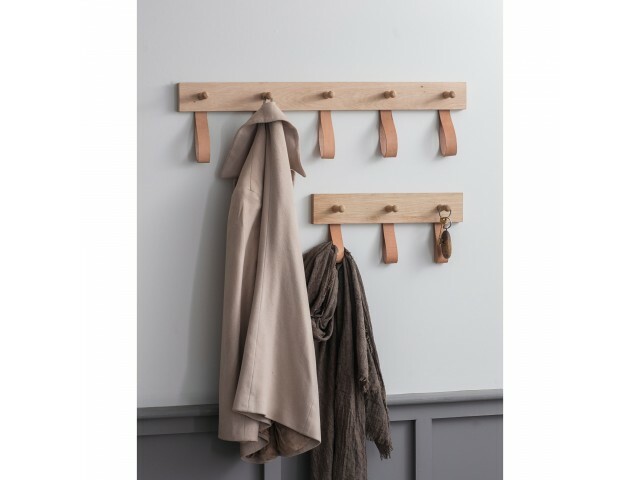 Featuring pegs and loops, coats, bags, even a dog lead can be stored on the pegs with scarves or freshly ironed shirts hung from the loops. 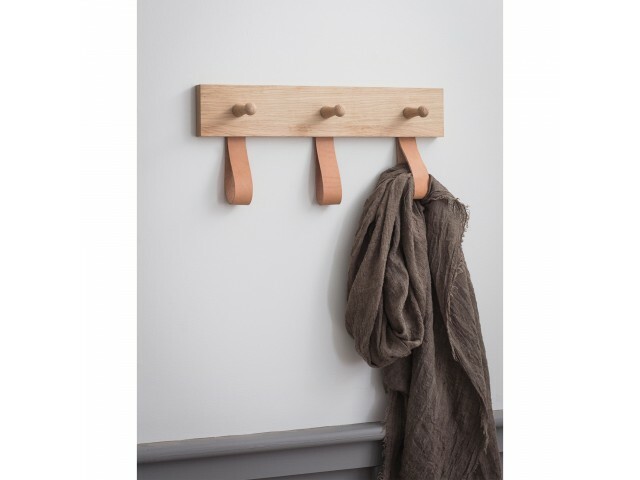 An upgrade from the traditional peg rail, it offers a striking wall feature in the hallway or bedroom.